AHM's first HO-scale diesel locomotive release was the Fairbanks Morse C-Liner. The C-Liner arrives in the spring of 1963 to AHM's line. The model had previously been included in the first offering of Lionel HO and was also found under Rivarossi's name. There are differences in the models from these various appearances. For example, early Rivarossi C-Liner models may be found made of bakelite or zamak. 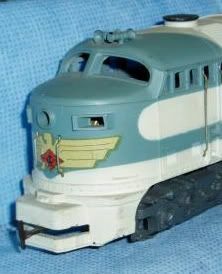 The Lionel HO C-Liner tooling features an enclosure on its front pilot not found on AHM examples. Though the C-Liner originates in Italy made by Rivarossi, the majority of the AHM examples you find are Yugoslavian produced models. The first diesel that was unique to HO-scale to come from AHM was the EMD BL-2. The BL-2 arrived in the early '60s, about the same time as the arrival of AHM's FM C-Liner. The introductory price for the BL-2 was $8.95, which it still had nearly a decade later in the late '60s. The BL-2 rode on the same FM-style truck that the C-Liner utilized, rather than an EMD Blomberg truck as the prototype included. The FM C-Liner received a B-unit companion in 1965. Early examples from AHM came from Rivarossi in Italy. By the '70s, both A- and B-unit C-Liners were produced by Mehano in Yugoslavia. Easily one of the most unique prototypes to see a wide release as a ready to run plastic model. The Krauss-Maffei ML-4000 was introduced by AHM in mid-1964. Built by Rivarossi in Italy, the model remained with AHM until the late 1970s. Interestingly, only two roadnames and both prototypical were offered for the ML-4000: SP and Rio Grande. The fall of 1965 is the date for AHM's announcement of the Rivarossi-made HO-scale U25C diesel locomotive. The asking price was $16.95 and three roadnames (PRR, NP, CB&Q) are listed for November-December 1965 arrival. The year 1967 was a big one for new motive power in HO-scale from AHM. In addition to the Alco RS2 and Kraus Maffei hydraulic, the Rivarossi-made EMD E8A diesel was introduced. Rivarossi imported items would remain in the AHM catalog until 1982. The popular E8 was first offered with five roadnames, AHM added roadnames throughout the years and the total number of available E8 paints would end with over a dozen. 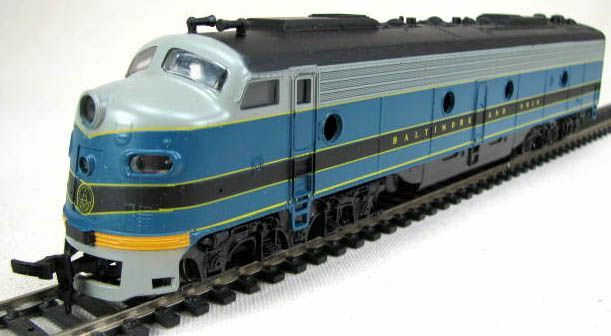 The HO-scale Alco RS2 was announced in 1967 by AHM. The model arrives in 1969 and was built in Yugoslavia by Mehano. The Alco RS2 remained in the AHM collection for the company's duration. Offerings included powered and non-powered examples. The RS2 was also sold in train sets by AHM. The model resurfaced following AHM's demise in the Model Power catalog. It is also available from Mehano in foreign markets to this day. AHM introduces an HO-scale ALCO 1000 to its line in 1971. AHM always called this model an ALCO 1000, though many would recognize it an ALCO S-2. This model was produced in powered and non-powered versions by Mehano in Yugoslavia for AHM. Model Power also imported this model for its product line. IHC Hobby also included it its catalog at one time. AHM catalogs two HO-scale EMD FP45 diesel models during the 1970s. The first offering came from Lima in Italy. This Lima-Italy FP45 joined Model Power's PMI line following its mid-1970s departure from AHM's catalog. The model features full front and rear pilots that are connected to the trucks, not the model's shell. This variation on tight-radius operation design allows this model to navigate sharp curves. 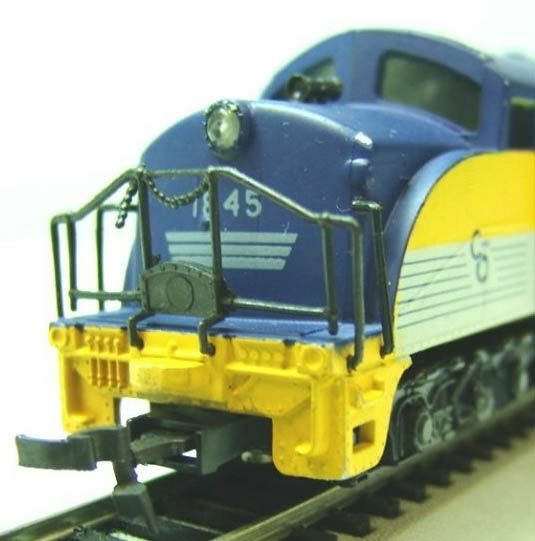 This design provides a Lionel-like appearance to this HO model. AHM adds two new diesel models to its line for 1974. The Kader-made EMD FT diesel and the EMD GP18 from Yugoslavia. The FT-A unit survives only a few years in the AHM line and joins the Bachmann catalog by the late 1970s. Only powered examples are found of the FT from AHM and only three roadnames were offered: Amtrak, Atlantic Coast Line, and Union Pacific. 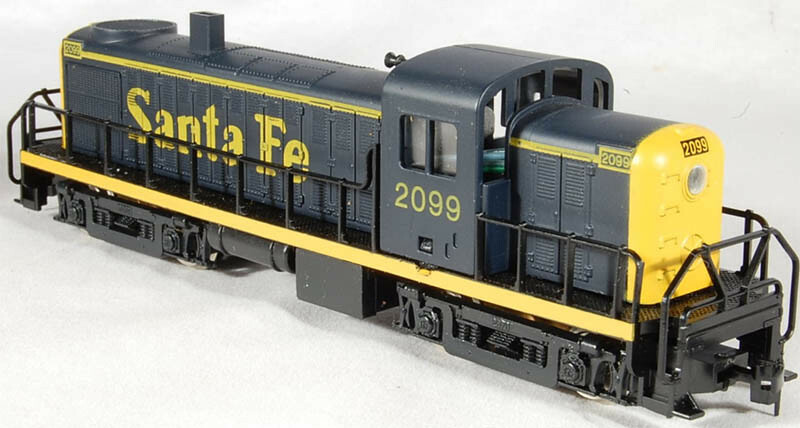 Though EMD F-units were the common denominator among plastic ready to run HO-scale hobby companies, AHM only rostered a single example in this FT diesel. AHM's EMD GP18 model debuts at the 1974 Chicago I-Hobby Show. The model was manufactured for AHM in Yugoslavia and was offered in powered and non-powered examples. Chicago's I-Hobby Show of 1976 saw AHM displying its EMD SW1 diesel switcher. The model was constructed in Yugoslavia by Mehano. AHM offered the switcher in powered and dummy examples. Later a variation was presented that featured a brakeman figure holding a light on the front pilot. The European-made switcher would survive AHM's demise of the mid-1980s and joined Model Power's product line for a time. Around the same time Roco produced HO-scale EMD prototypes for Atlas, AHM imported an Alco Century 424 model from this Austrian company. Similar, but not up to the same level of quality found on Atlas' Roco diesel models, AHM's Century 424 generally reproduces a Phase I production example of this Alco prototype. The model would see an original release of road names, plus additions of an orange Amtrak Maintenance-of-Way scheme sold by AHM and a Walthers-exclusive Penn Central offering. AHM announces a second group of road names in 1980, but none have surfaced to date in my research. 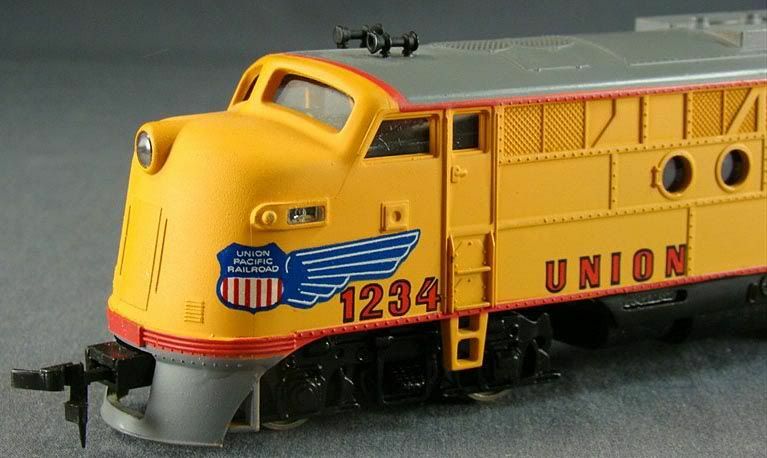 Only AHM marketed this Roco-made HO-scale Century 424 model. AHM catalogs two HO-scale EMD FP45 diesels during the 1970s. The first offering came from Lima in Italy. The second FP45 model followed just a few years later in 1976. This second AHM HO-scale FP45, produced by Mehano in Yugoslavia, came in powered and non-powered examples and would stay with the company to its end in the mid-1980s. The Yugoslovian-made EMD SD40 arrives in AHM's line in 1979 and is among the final new offerings for the company's diesel roster. The early examples include different tooling from what many may know for this model. The first AHM SD40 models include full front and rear pilots, which give way to open talgo-truck pilots found on later Model Power and IHC Hobby imports of this model. Introduced by Life-Like in the early 1970s, the Alco Century 628 was imported by AHM for a short time beginning in 1982. The model was constructed for AHM by Mehano in Yugoslavia. You'll find this same Century 628 in Model Power packaging and it was last found in North America under the IHC Hobby banner. It remains a production item today from Mehano in Slovenia, formerly Yugoslavia. Please help support this web site! This site is available thanks to the generous donations via PayPal made by visitors like yourself. If you've had a nice visit, please consider donating a dollar to help keep this site active and updated for the future. Your support is greatly appreciated! Thanks! Please note that this site was created for use by collectors and does not represent a line of products currently available today. The author is not affiliated with, nor representing AHM in any way. I do not have items available for sale, nor do I have information regarding repair or replacement parts, etc.